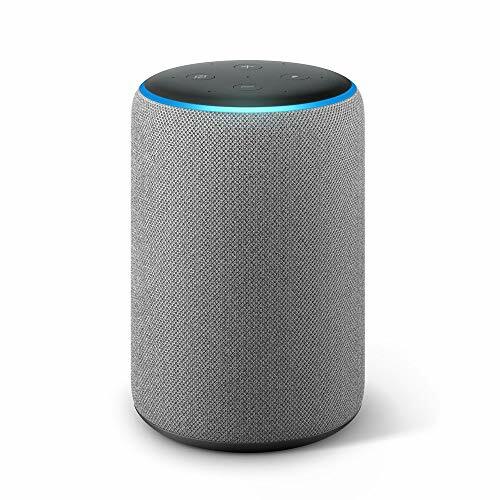 - Echo Plus has a built-in Zigbee hub to easily set up and control your compatible smart home devices, and an improved sound for streaming music. - New premium speakers powered by Dolby play 360° audio with crisp vocals and dynamic bass response. You can also adjust equaliser settings within the Alexa app. - Just ask Alexa to play music, read the news, check weather forecasts, set alarms and timers, control compatible smart home devices, call anyone with an Echo device or the Alexa App (Skype coming soon), and more. - Set up your smart home without a separate hub. Ask Alexa to control compatible Zigbee smart lights, plugs and more. Echo Plus also includes a built-in temperature sensor. - Ask Alexa for a song, artist or genre from Amazon Music, Spotify, TuneIn and more. With multi-room music, you can play music on your compatible Echo devices in different rooms.